Dietary restrictions are never a problem at Via Roma. You'll never need to sacrifice having a good meal to meet your needs! We offer a complete vegan and vegetarian menu, so you can still have a delicious meal while meeting your dietary needs. Our options include appetizers, salads, pizza, pasta, and more! 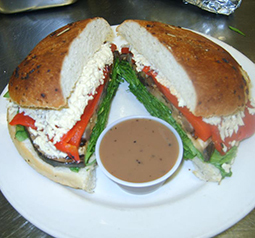 Look at our full vegan and vegetarian menu here.